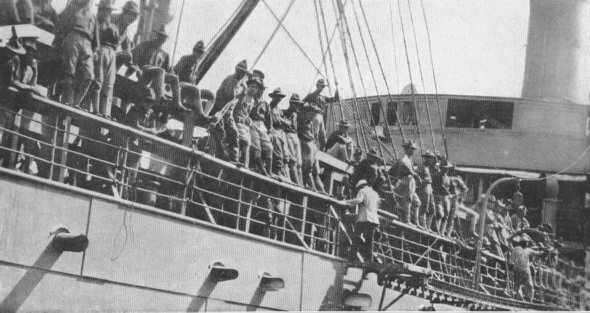 TO THE LAND OF THE MUSCOVITESAmerican troops landing at Vladivostok, Siberia. Attempting to overcome the blow suffered through the Russian Revolution and Bolshevik surrender to Germany, the Allies sent troops to assist White Russian forces against the Reds. 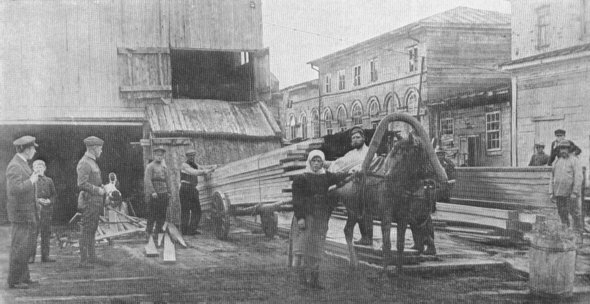 LUMBER FOR DOUGHBOYS' HOMESUpon the arrival of American forces in Russia, it was necessary to construct barracks capable of withstanding the rigors of a winter near the Arctic Circle. Many women were engaged in this work but at half the pay of the men.